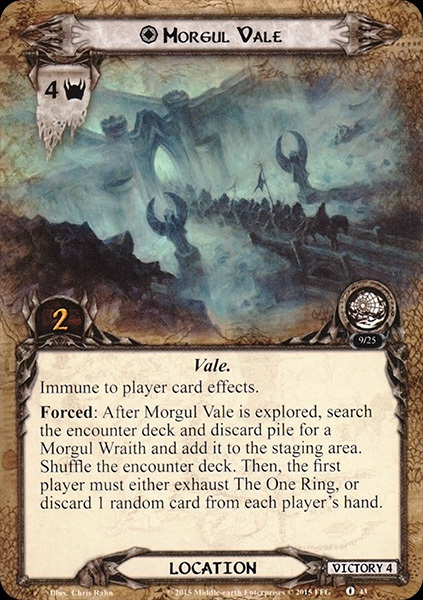 Forced: After Morgul Vale is explored, search the encounter deck and discard pile for a Morgul Wraith and add it to the staging area. Shuffle the encounter deck. Then, the first player must either exhaust The One Ring , or discard 1 random card from each player's hand.